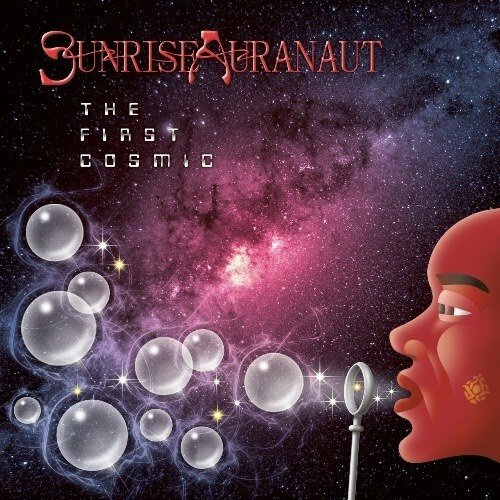 Sunrise Auranaut is in essence Russian musician Vitaly Kiselev, who wrote all the songs, performed all guitars and keyboards and programmed bass and drums. So yes, this is an instrumental album around the space theme. And Kiselev recorded and mixed it in just over a year and made the artwork as well. Busy guy! According to the press sheet this is his third release, although part of the songs were written between 2003 and 2006. He did revise them though. And now for the music. Well, not having heard anything from him before, I am sure this classifies as prog rock or symphonic rock. For me the trouble with it is that it partly feels like there are just too many ideas wanting to present themselves to the listener. That distracts from the sometimes nice melodies and comes across a bit overwhelming. For me, a more focused approach would result in an album that grabs you more easily. It is not a bad album by any means (even though especially the drums suffer from a lack of power and sound demo like), but with an outsider whom Kiselev trusts and who brings in some expertise and can help channelling all these ideas, this music might just appeal to more people.